tingling in his right hand post-injury. radiograph, and if so where? Trochlea, Olecranon, External (lateral) epicondyle. epicondyle is on the ulnar side of the elbow. 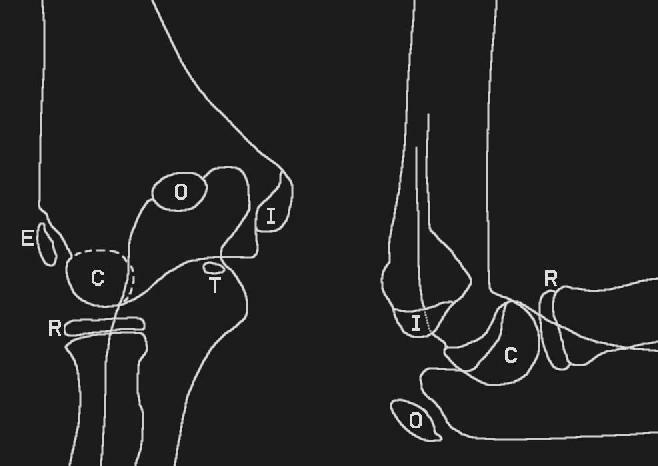 7 years old but all six ossification centers are present. since the age ranges are highly variable. humerus, rather than a normal external epicondyle. the neurovascular integrity of the affected extremity. falling on the out-stretched arm. has any tenderness over the anatomic "snuffbox"
to Case 14 (A Hand Contusion) for more details. 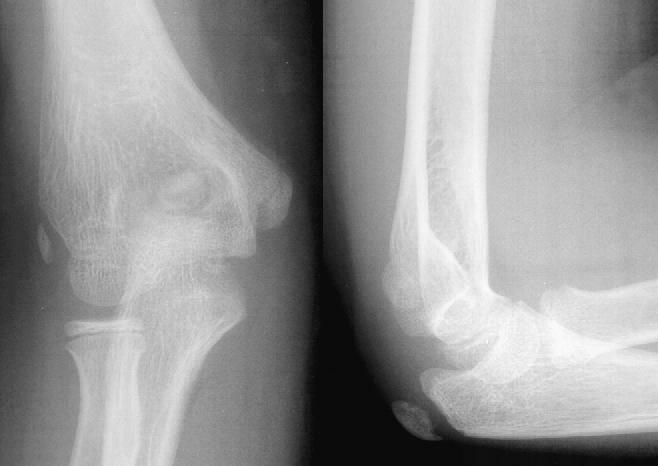 elbow with normal ossification centers.